Giveaway will commence on Monday, come back and check it out. Believe me, you won't regret it..
Way cute! Did you paint that yourself? I'm totally impressed. Cute bat. 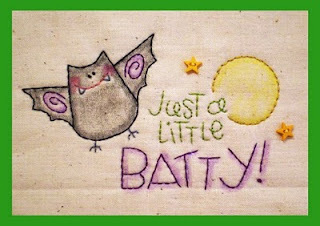 That is the way I feel most of the time batty. Have a great week-end.